Seventh Street Books, 9781633883574, 320pp. 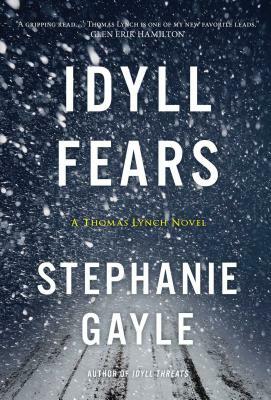 Stephanie Gayle is the author of Idyll Threats, the first Thomas Lynch Novel, and My Summer of Southern Discomfort, which was chosen as one of Redbook's Top Ten Summer Reads and was a Book Sense monthly pick. Gayle has also published stories and narrative nonfiction pieces, including two Pushcart Prize nominees. "Lynch is a deeply compelling character. . . . Readers will want to see how the next two decades treat this intriguingly complex cop." "A tight story that is part police procedural and part traditional mystery that keeps you guessing to the very end. It is also a fast-paced jaunt that never lags and paints a believable picture behind the charming and sometimes complicated facade of small town life." "Readers will hope. . . that this book will be the first of many with Thomas Lynch as the multidimensional and likable police chief." "Gayle has crafted a fascinating mystery and--even more engaging for this reader--a believable, complicated hero. Thomas Lynch is a flawed, sympathetic man struggling with the benefits and risks of coming to terms with himself. I was rooting for him the whole way."